This week started with some pleasantly warm sunshine for some, with 19.6C reached at Santon Downham in Norfolk on Monday afternoon. And although for many it will stay dry and sunny for the rest of the week, temperatures will take a tumble, as increasingly cold air is pulled west on easterly winds across NW Europe from a cold Scandinavia. 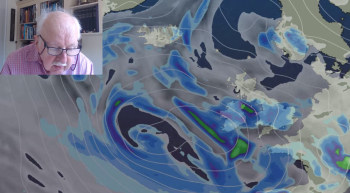 The cold easterly winds will stay with us through the coming weekend and, if anything, it looks to turn even colder, as models forecast a pool of unusually deep cold air for early April, pushing west from NE Europe and NW Russia towards the UK. 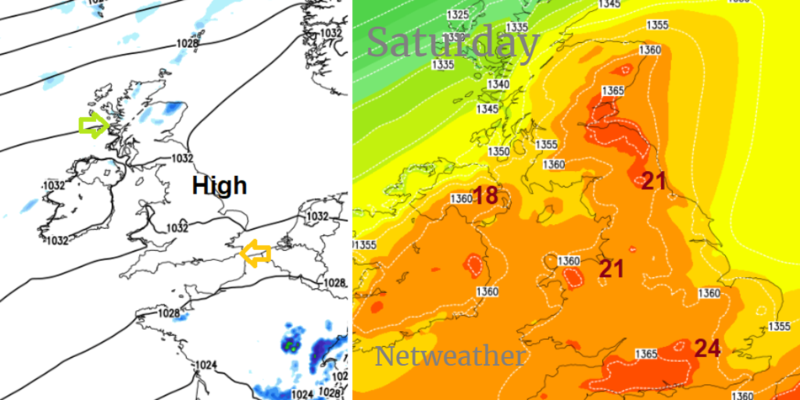 850 hPa temperatures on Saturday afternoon, that’s about 1500 metres or 5000 feet up, falling to -8C across SE Britain, which is rather cold in deep winter - let alone mid-April. Such temperatures aloft in deep winter would translate to surface temperatures struggling to get much above freezing with cloud cover, but being April it won’t be nearly as cold. 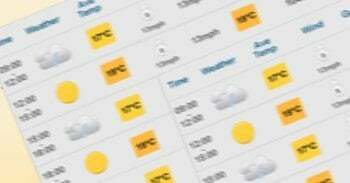 Nonetheless, daytime temperatures are forecast to stay in single figures away from the far west on Saturday. The brisk easterly flow may bring light showers to eastern coastal areas too over the weekend – which could bring a wintry mix, particularly overnight, with snow possible over hills in the northeast. April is infamous for showers, but naturally one expects winter to be well behind us, with the weather progressively improving and temperatures rising week by week as we head towards late Spring. But in reality, April and certainly Spring in general often doesn’t conform to this idealized concept. 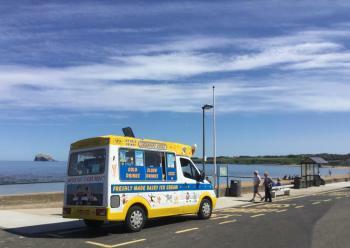 More typically, warm weather comes and goes in fits and starts, with setbacks towards more winter-like conditions, even in April, not that uncommon. Sudden sharp frosts in April and May are not unusual, nor is heavy hill snow in early April. Lowland snow in April is not common but has happened in recent years, even in the south. In 2008, and area of sleet and snow in a cold northerly flow brought 5-10cm of snow across parts of SE England and the Midlands on the morning of the 6th April, with Kenley in the southern suburbs of London reaching a high of just 2C that day. April 2012 was colder than March that year, with winds frequently from a northerly quarter, with widespread snowfall in the north in the first few days of the month, with drifting snow closing higher routes over the Pennines for a time. Going back to 1989, there was a fairly notable flip-flops to snowshoes flip in the weather, when the last week of March was warm with 20.7C reached in Kent on the 28th, before a cold easterly wind set in early April, with heavy snowfall on the 5th in the London area, with 15cm at Tadworth (Surrey) on the edge of the North Downs. An even more dramatic flip occurred some 50 odd years ago, when on the 29th of March 1968, Santon Downham and Cromer reached 25C (77F), then a biting northerly wind developed at the beginning of April, at midday on the 2nd central and eastern England saw a covering of snow and temperatures close to freezing. April can sometimes feature a warm first half and cold second half too, so not always will the expectations of a gradual warm up through the month be fulfilled! In 1981, the first half of April was the warmest for 20 years, with temperatures in sunshine reaching 22C in southern England and south Midlands between the 9th and 11th. However, after the 20th, much colder northerly winds direct from the arctic brought devastating snowstorms to parts of Britain between 24th-26th, particularly hit were hilly areas of the Pennines, Peak District, Wales and Welsh Borders, level snow was 2 feet thick across parts of the Peaks, with 20 foot snow drifts. 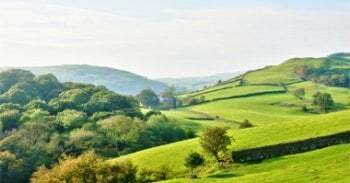 Upland areas daytime maxima stayed close to freezing and even big towns and cities in the Midlands, such as Birmingham and Nottingham reached no better than 2 to 3C on three days on a row. So there is nothing unusual about such big swings in temperature at this time of year. 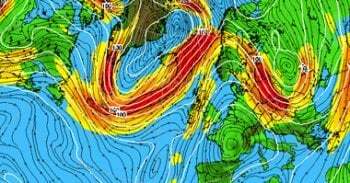 Often April is when the prevailing southwesterly winds are at their weakest, thanks to the contrast or thermal gradient between cold air over the arctic and warmer air further south being weaker than in winter. This allows high latitude blocking areas of high pressure to often develop, as in the case this week and coming weekend, a blocking high in control over Scandinavia and NE Atlantic – bringing the cool easterly winds. 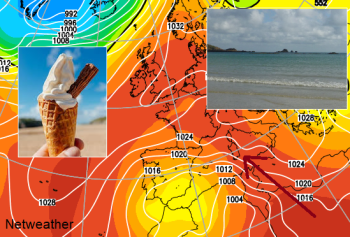 In the case of the big flips in temperature described in some Aprils above, this occurs when jet stream is weak and meanders first poleward, bringing unseasonably warm weather, before the jet stream trough shifts eastwards to allow an equatorward jet to move across switching winds from southerly to a cold northerly. 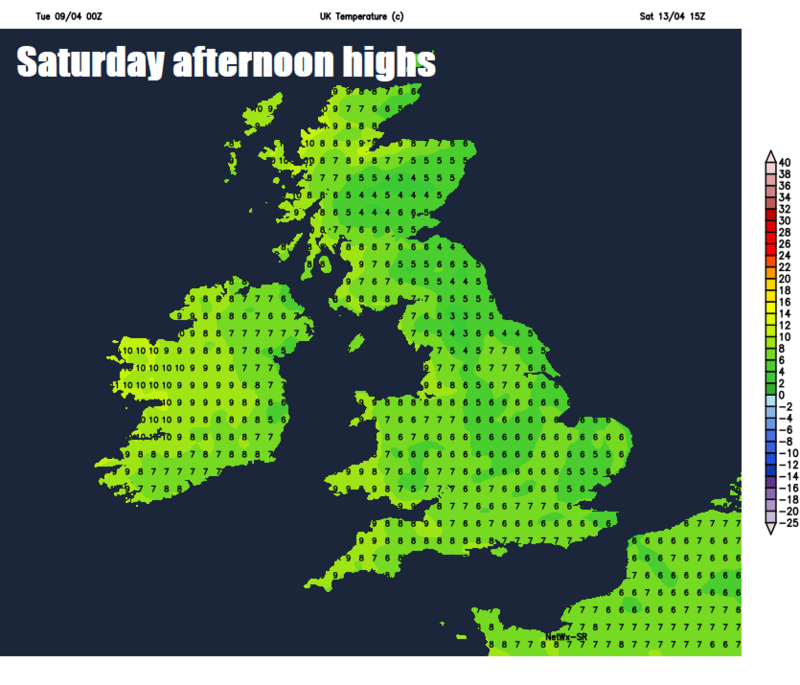 Although it looks to turn progressively colder through this week, culminating in daytime maxima failing to get out of single figures for many this weekend and a return of overnight frost risk, model forecasts do indicate warmer weather returning next week, as winds switch from cold easterly to a warmer southerly, temperatures by Tuesday afternoon back into the mid-teens.